She was born on 2 August 1948 in Hamburg. 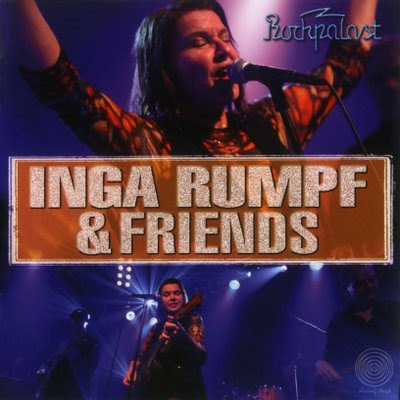 Between 1965 and 1969 Inga was a member of the Irish-German folk band City Preachers along with Dagmar Krause and O'Brian-Docker. After a one-off project with Krause as ID Company she co-founded Frumpy in 1970, a group that recorded four albums together before splitting in 1972. The nucleus of Frumpy then became Atlantis, and released further commercially successful albums, benefiting from Rumpf's distinctive, deep and powerful voice (- the German Janis Joplin?). Her first solo album was recorded with most of the Atlantis line-up of 1975: Frank Diez (guitar), Rainer Marz (guitar), Karl-Heinz Schott (bass), Ringo Funk (drums), Adrian Askew (keyboards) and Claudio Szenkar (percussion). The album consisted of conventional rock with soul, jazz and blues influences. Successive albums grew increasingly predictable, with contributions from internationally well-known studio musicians.